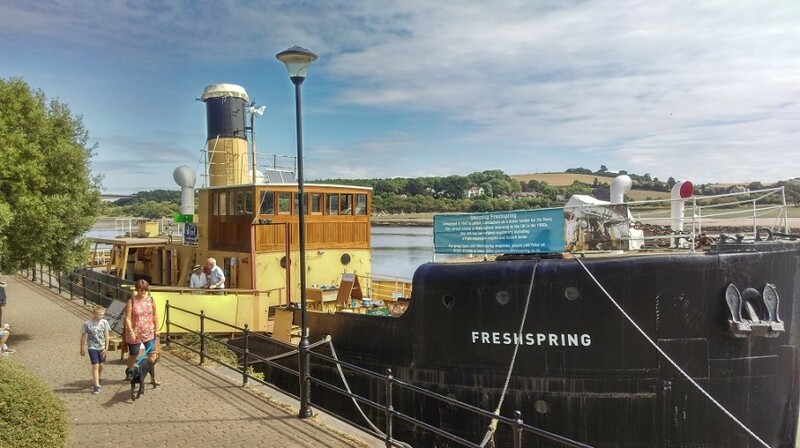 The Steamship Freshspring, alongside at Bideford Quay, officially opens to the public on Sunday 7th April 2019. With on board activities, Freshspring makes an ideal, cost effective family attraction with the sights, sounds and smells of a working steamship. Our volunteers have been working in all weathers to get her looking great for her visitors, so why not use your time off over Easter to come and see the last surviving vessel of her class? We open from 1130 to 1600 every Sunday from 7th April 2019.